Ballroom LatinAmerican, Freestyle Disco, Rock n Roll and Street and Hip Hop. is our speciality. Classes run for ages from 3 years to adult inclusive. 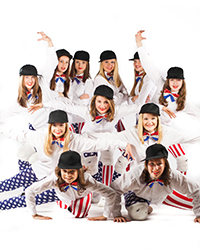 Anderson Dance Group competes at National level in Freestyle Disco, Rock n Roll and Street and Hip Hop and has done so for many years. We have won many trophies at Nationwide events in Solo’s, Pairs, Rock n Roll, Teams, Quads becoming National champions on more than one occasion. We have specific classes for competition work and have classes just for fun if the competitive side is not for you. 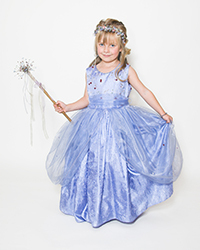 We teach regularly in mainstream schools in and around Billericay covering PPA. We have been established for over 25 years. One of our Main teachers David Jamerson is a professional dancer working in the commercial and musical theatre industry. David has performed with some of the Biggest UK artists around at the moment such as Ellie Goulding Olly Murs, The Wanted, Leona Lewis, Sarah Harding, Lily Allen, Joe McElderry Uk promo tour, Catherine Jenkins, US artist Miley Cirus to name but a few. David has performed on many TV shows including X-Factor, Strictly Come Dancing, Red Or Black, Lets Dance for Sports Relief, Ant and Decs Saturday night takeaway, Alan Titchmarsh, Paul O’Grady, Somewhere Over the Rainbow, 5 o’clock show among many. He has also performed along side Britains got Talent winners DIVERSITY, and FLAWLESS, performed with Thriller Live and Cats the musical. David performed in the closing ceremonies of both the Olympics and Para-Olympics, as one of the few paid professionals. He has performed in many different countries around the world including Germany, Holland, France, Turkey, Cyprus, Canada, India, mexico, among many others. Anderson Dance Group also has a Hen Party Service where a Professional Choreographer/Dancer will be provided to match the needs of the hen party. Take time to read about our Hen Parties on our Hen Party Page. Another one of our specialities is First Wedding Dance, catering to your choice of music. If you have two left feet and feeling nervous about that shuffle we can help you out. Classes run on different days and times throughout the week. 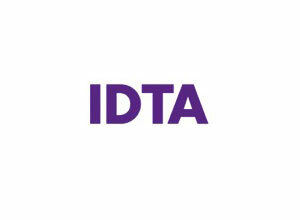 We are a registered IDTA school with qualified IDTA teachers and the chairman of the IDTA Anglia Area, and IDTA Nationwide Representative for Anglia Area as principal of the school Wendy Anderson. We teach a number of different styles. From 3 years upwards, a mixed co-ordination class of fun dances party/disco and an IDTA syllabus work of Ballroom and Latin American dancing. A small group of beaming faces having fun doing their party dances to showing their disco/street wriggles, and hot stepping it around the floor with their Foxtrot and Cha Cha Cha. A truly mini Strictly Come Dancing Class. A fantastic way to have fun and learn co-ordination and people skills. Once the children reach 7 years of age, some of them like to concentrate a little more on Freestyle /Street, Rock ‘n’ Roll as well as their Ballroom and Latin. 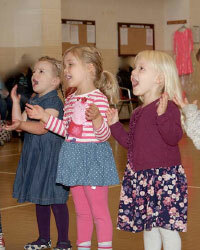 We like to offer a service of learn to dance for fun or learn to dance to compete. On a Monday afternoon many of our pupils like to get into the Latin Beat and dance like their TV idols from Strictly Come Dancing. They then throw away their inabitions and dance street/freestyle and Rock n Roll. Our classes of Freestyle/ Street & Rock n Roll are available for Beginners Improvers and Advanced. You can dance for fun or compete. We run four National Freestyle Teams that compete in the International Dance Teachers Association Nationwide event at Blackpool every year. We have been Anglia Area Winners for the last ten years. 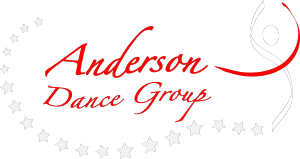 Adults attend Anderson Dance Group taking part in Beginners to Advance Ballroom and Latin American classes on various evenings during the week If you have two left feet and would love to have a go have a look at out tiimetable. If you are a lapsed dancer and want to get back into the Latin/Ballroom beat we have a class for you. If you would like to Rock N Roll we can help you get those toes taping from Rock N Roll through to Lindy Hop. Beginners Classes are available. A practice session is available on some Saturdays and Social dances held at various times throughout the year. Private Tuition is available if you do not wish to participate in a class. ‘First Dance’ Wedding Lessons are available for those that do not wish to dance around in a circle feeling embarrassed. 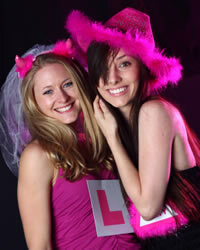 We cater for all your dance needs from the hen/stag party to your first dance see our Wedding /Stag Hen Page. We love to love dance and entertain if you would like to book us for your school fete or village fete please call.